An article in the UK’s Jewish Chronicle describes how Sally Becker, a volunteer and past Trustee of Hadassah United Kingdom, is on a mission to save those most at risk from the battle for Mosul. 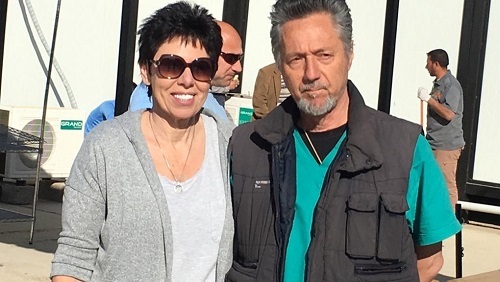 She has created the only front-line pediatric unit in this war-torn area, and has teamed up with the Hadassah Medical Center in Jerusalem to treat those children who will need specialist pediatric care. Dubbed the “Angel of Mostar” for her work during the Balkan wars, Ms. Becker has formed the world’s first mobile, battle-ready unit focused entirely on saving children in the world’s conflict zones. She created the eight-person team in response to the ongoing humanitarian crisis in Mosul, where an estimated 350,000 children are trapped as US-backed Iraqi forces try to take the city back from the terrorist organization Daesh (ISIS). Speaking from the outskirts of Mosul, in earshot of explosions as black smoke billowed behind her, she said: “The unit’s mission is to provide critical, frontline pediatric medical relief. Nothing like this existed before.